Though the Winnipeg Jets have been linked to nearly every potential free agent forward including the very best of the best, it might be a smaller move that gets things kicked off for the Western Conference contender. Mike McIntyre of the Winnipeg Free Press reported yesterday that Jets GM Kevin Cheveldayoff has been working to bring in an experienced depth forward in order to “give head coach Paul Maurice more options in his bottom six.” McIntyre notes that the Jets have too often become a three-line team, benching their fourth unit because Maurice can’t quite trust them. That can be seen perhaps most notably in the ice time logs of a young player like Jack Roslovic, who until recently had been limited to fewer than ten minutes almost every night. In fact, Roslovic has played fewer than seven minutes in 14 of his 49 games this season, hardly giving the young forward a chance to contribute. While Roslovic has been given an opportunity to play a little more recently, there is obviously a balance issue on the Jets that could be addressed with adding some more experience down in the lineup. While McIntyre and just about every other media member points out how the Jets could also use a legitimate second-line center for the stretch drive—the role that Paul Stastny filled last season after being acquired from the St. Louis Blues at the deadline—it’s an interesting note that Cheveldayoff seems more focused right now at adding down in the lineup. Perhaps that is because the Jets believe more names will be put out onto the market in the coming weeks. The Ottawa Senators have seemingly not yet made Matt Duchene available in trade as they continue to try and sign him, and with Kevin Hayes recent comments about wanting to stay with the New York Rangers perhaps he’s not the ideal target. Other names like Mark Stone, Wayne Simmonds and Artemi Panarin are all in complicated situations and don’t fit into the Jets structure perfectly because of their position on the wing. The Jets will no doubt make a move at some point in the next three and a half weeks, but it’s still not clear how much they want to give up this time around. Remember that Stastny cost them a first-round pick last season meaning they didn’t select until 60th overall, and the team is already without their 2019 third-rounder from an expansion draft trade. Even though Winnipeg has built one of the strongest pipelines of talent in the entire league, they’re not a team that can afford to throw away futures every year. Still, the team looks as dangerous as ever as the playoffs draw closer and Cheveldayoff will have to decide whether it’s worth taking another crack at a top rental to push them over the edge, or just settle for a bottom-six addition in the meantime. It was about as bad a first season in Winnipeg as it could have been for goaltender Steve Mason. After signing a two-year deal with the Jets last summer that carried the presumption that he would at least share the starting job, injuries and poor play plagued the veteran net minder all season. The lone bright spot for Mason – he still made his $4.1MM. 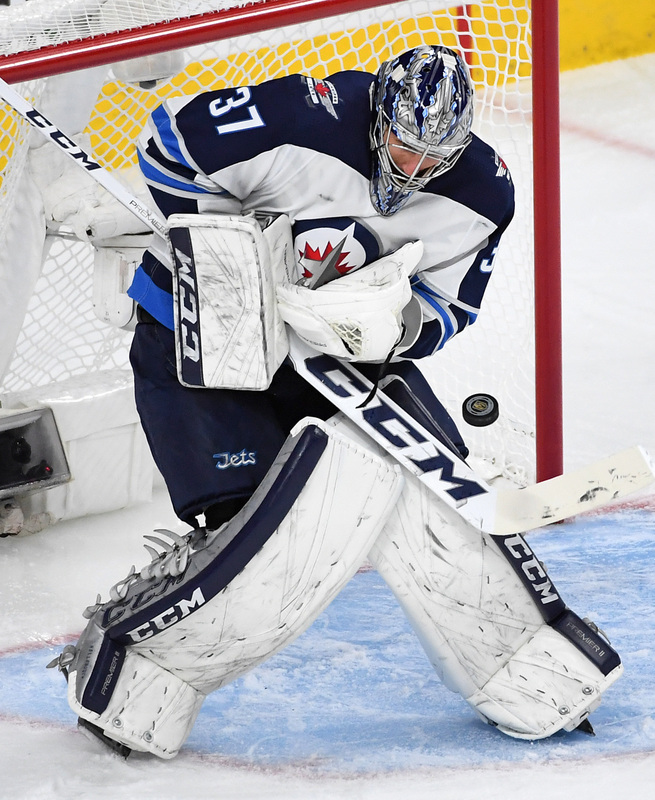 Many have speculated – now that Vezina Trophy candidate Connor Hellebuyck has more than solidified his position as the starter moving forward – that Mason could be cut by the Jets this off-season to avoid another hefty cap hit next year. However, speaking with the media today, Winnipeg GM Kevin Cheveldayoff stated that he did not anticipate going the buyout route with his experienced albeit overpaid backup (video). Instead, Cheveldayoff spoke to Mason’s ability and integrity and his desire to have a capable backup next season. Mason, who will be 30 next season, joined the Jets last summer after parts of five seasons with the Philadelphia Flyers during which he struggled to transcend to that elite, true #1 goaltender level. Nevertheless, Winnipeg handed the 2009 Calder Trophy winner an $8.2MM contract that was immediately panned. Unfortunately for the Jets, the critics proved to be right. Admittedly, Mason struggled with several injuries – including multiple concussions – during the year, however when he did play the results were underwhelming. Mason finished the season with a .906 save percentage and 3.24 GAA in a career-low 13 appearances. It was easily his worst performance since his later seasons with the Columbus Blue Jackets and paved the way for Hellebuyck to take over full control of the starter’s job, as he dominated starts even when Mason was healthy. Yet, a buyout of Mason’s final season – while understandable on a results basis – would not make much of a difference to Winnipeg. Yes, the team would save over $2.7MM next year, but would incur a penalty of around $1.4MM the following year. For a team that doesn’t struggle with salary cap compliance, those savings mean relatively little. Without Mason and with Michael Hutchinson headed for unrestricted free agency, the Jets would then be forced to find an experienced backup this off-season anyway. While it may not be popular among fans who were disappointed by his first season, if Cheveldayoff does retain Mason this off-season, there are plenty of reasons why it makes sense for the Jets. Poll: Who Should Win GM Of The Year? There are certain awards every year that seem destined to go to a single player, coach or executive regardless of who else is named a finalist. This year the Jack Adams might be one of those, as even our readership were in agreement on Gerard Gallant as the obvious choice. He received more than 62% of the vote, while no other candidate earned even 15%. Another one of those awards might be this one. Yesterday the NHL released the finalists for GM of the Year, and Gallant’s boss is the overwhelming favorite. George McPhee started with the signing of Reid Duke, an over-aged played from the WHL, and could very well end with the Stanley Cup. Though the voting happens pre-playoffs, there’s no doubt that McPhee dominated many of his competitors this season by leveraging the expansion draft process—as flawed as it perhaps was—to create both a strong NHL team and a solid draft pipeline. But, none of that could have been possible without breakout years by almost his entire selected roster. Some of the other moves—namely, acquiring Tomas Tatar at the trade deadline—haven’t been as universally well-regarded. More than that, there are some other names that could have a good case for the award. Kevin Cheveldayoff, another one of the finalists, is likely there more for the work he has done over the last few years than anything he did in-season. The Winnipeg Jets have slowly matured into a powerhouse in the Western Conference, and though Paul Stastny was a shrewd deadline pickup, Dmitry Kulikov and Steve Mason haven’t worked out perfectly. Instead, it’s all the incredible drafting and development that has made Winnipeg into one of the deepest teams in the league. The last finalist was Steve Yzerman, widely regarded as one of the best executives in the league. The Hall of Fame player has turned into a master of running an NHL club, locking up key players for reasonable cap hits and making big trades when necessary. Acquiring Mikhail Sergachev in the summer when he felt the Lightning had a surplus of talented forwards, and then landing the biggest trade deadline fish without removing much from his NHL roster—Vladislav Namestnikov was essentially replaced with the addition of J.T. Miller—have pushed Tampa Bay into a position to contend for some time. But are there other candidates who should be considered for the award? What about Joe Sakic, who was close to being replaced last summer, only to land a huge package of talent for Matt Duchene in the early part of the season. The squad he put together jumped all the way from last place to the playoffs on the back of some underrated players (and Nathan MacKinnon), and are set up for success in the future. What about Jim Rutherford in Pittsburgh, or Brian MacLellan in Washington, who both added key pieces to their teams at the deadline despite having very little cap space. Derick Brassard is returning to the Penguins with just a $3MM cap hit next season, while Michal Kempny has solidified the Capitals defense en route to their lead in the Conference Finals. It might be clear what the answer is, but we’d like to hear from you. Cast your vote below on who should win, not who will win, and make sure to explain why in the comment section! Poll: Which Conference Finals Team Benefitted The Most At Trade Deadline? With a lot of attention that has gone towards the success of trade acquisition Paul Stastny in the playoffs this season, the Winnipeg Jets and general manager Kevin Cheveldayoff look to have scored at the trade deadline this offseason. The GM was able to pick up Stastny’s expiring contract (50 percent of which was retained) as the team traded away Providence College prospect Erik Foley as well as their 2018 first-rounder and a conditional 2020 fourth-rounder (if Foley doesn’t sign with the Blues before he can become an unrestricted free agent in 2019). While losing a prospect and a first-rounder, the Jets have defintely benefitted by Stastny’s play, especially in the playoffs. 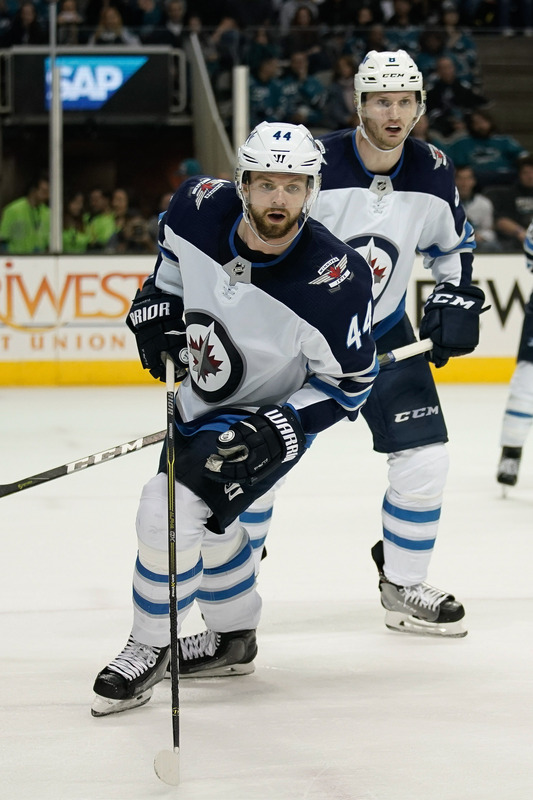 The 32-year-old center, alongside youngsters Nikolaj Ehlers and Patrik Laine has put up six goals and nine assists in 13 games during the playoffs and has helped vault Winnipeg into a one-game lead in the Western Conference finals. Of the other three teams that remain in the playoffs, the trade deadline also seems to have benefitted the Tampa Bay Lightning. Their acquisition of defenseman Ryan McDonagh and forward J.T. Miller from the New York Rangers at the deadline also brought some stability to the Lightning from both players. McDonagh added a stable presence on the defense’s second line, while Miller has excelled playing next to Steven Stamkos and Nikita Kucherov. McDonagh has aided the team’s offense with five assists in 11 games, while Miller has had two goals and five asissts in 11 games as well. In exchange for those two, the Lightning were able to avoid trading off any elite prospects to the Rangers, but still gave up a lot of pieces, including Vladislav Namestnikov, prospects Brett Howden and Libor Hajek, their 2018 first-rounder and another potential first-round pick in 2019 if Tampa Bay wins the Stanley Cup in either of the next two years. The Washington Capitals, with little cap room to work with at the trade deadline, still were able to pull off a couple of small trades, although the addition of Michal Kempny has had a major affect on the Capitals’ defense. With a number of young, inexperienced blueliners and little money to add a high-profile player, the team traded the Toronto Maple Leafs’ third-round pick in 2018 for Kempny. While the former Blackhawks’ defenseman had never played a full season in the NHL, he is 27 and had quite a bit of experience in the KHL and Czech Republic. Finally, the Golden Knights did make one big trade at the deadline, sending a 2018 first-round pick, a 2019 second-round pick and a 2021 third-round pick to acquire Tomas Tatar. While the addition of Tatar is not a rental like many of the others (he has three years left at $5.3MM AAV after this year), the team gave up a lot for a player who has made little impact in Vegas. The 27-year-old has been a healthy scratch for much of the playoffs, having only played in four games with no points. So, which team has benefiited the most from this year’s trade deadline?